(1) Understanding the IC Diet - We review the basics including the nine food categories that are notorious for triggering flares. We explain the history, how and why's of the diet. 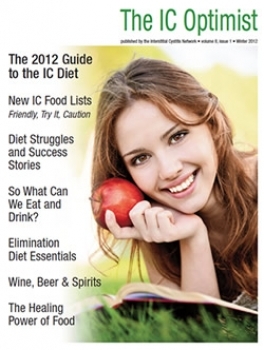 (2) The IC Food Lists: How to begin modifying your diet - We offer two key lists. The first, short list is based on the data of two large IC and diet research studies and offers foods that are "more bothersome" and "least bothersome." That is followed by our large 2012 IC Food List. A ten page alphabetized table of foods offering their bladder friendly, try and caution variations. This updated and expanded list replaces our 2009 IC/BPS food list. (3) So What Can We Eat? - Jill Osborne shares meats, veggies, breads, dairy products and desserts that you can eat and enjoy, based on fifteen years experience, consultation with experts and the latest research. (4) So What Can We Drink? - Finding IC friendly beverages is often the most challenging. In this article, Jill shares a four step plan that you can use based upon your bladder symptoms as you choose which beverages to drink, including some low acid coffees. 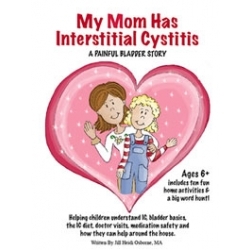 (5) Diet Struggles and Success Stories - IC writer Stacey Shannon shares several patient stories on how they've approached the diet, struggles they've had and successes they've found by modifying their diet. (6) Elimination Diet Essentials - Bev Laumann, author of A Taste of the Good Life: A Cookbook for an IC Diet, offers a fabulous guide on how to do an elimination diet so that you can uncover those foods that you are uniquely sensitive to. This is a great strategy for patients who still can't figure out exactly what is bothering their bladders on a daily basis. 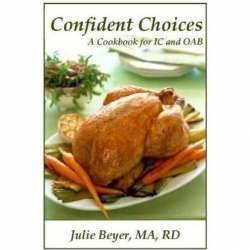 (7) A Dietitians Story - Julie Beyer RD, author of the Confident Choices series of IC diet books, shares her story and how she has helped educate thousands of patients and professionals. (8) Wine Beer & Spirits: Do They Trigger IC Flares - We've reprinted an article from 2010 to help patients find bladder friendly alcoholic beverages. Includes the results of a large survey and provides suggestions on beers, wines, alcohols, mixed drinks and mixers. (9) The Healing Power of Food - Mia Eliot, author of the Happy Bladder Cookbook, reminds us that food shouldn't be feared rather it's a source of healing!